For a taste of quintessential Britishness and five-star luxury, head to eastern England for a stay Retreat East, in stunning Suffolk. Unwind and rejuvenate at the eco-paradise where you will be surrounded by 35-acres of rolling countryside. Drawing tourists from far afield, Suffolk is known for its glorious coastline, charming villages and medieval towns and breathtaking natural beauty. Our members can choose between 4 room types, each one is an expertly finished and offers an ideal home away from home. Ipswich, in Suffolk, is a delightful place to visit. For centuries, the river has been the lifeblood of the town; even today it acts as the social focal point for residents and visitors alike. The waterfront is a beautiful ‘jewel in the crown’ of Ipswich and seamlessly blends moored yachts, the iconic university building, a working port, modern apartments and the nationally renowned Jerwood Dance Studio alongside a lively mix of retail, bars and restaurants. 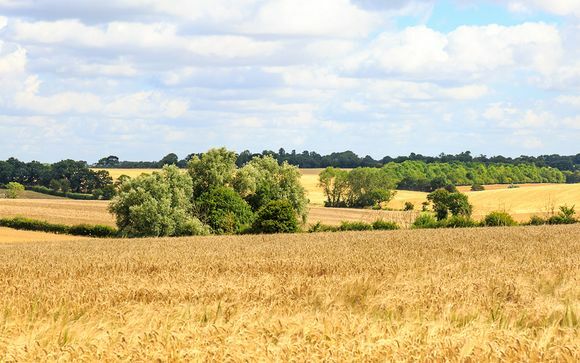 Or for something a little more relaxed, you can head to Dedham and Flatford to hire out a boat, go for a stroll and admire the beautiful area that inspired so many of John Constable’s famous paintings. This 16th-century dairy farm has been transformed into a stylish collection of apartments, each one containing original, unique characteristics and design features. Guests will be surrounded by 35 acres of idyllic Suffolk countryside and will have complimentary access to the hotel's country club and spa. This offer is based on a One Bedroom Barn, Two Bedroom Barn, Studio or Farm House. The One Bedroom Barn comes in three forms: The Granary, The Piggery and The Hayloft. The Granary is a characterful accommodation with a spacious living area where the kitchen and lounge are separated by exposed wooden beams. 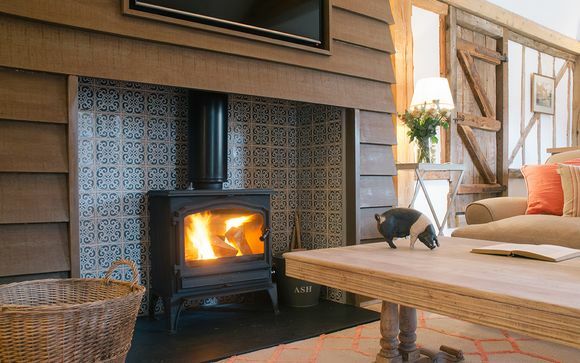 The Piggery is a romantic barn with a roaring wood burner which is perfect for colder nights. This barn is a beautiful of modern design complimenting original features such as brickwork, beams and even doors. 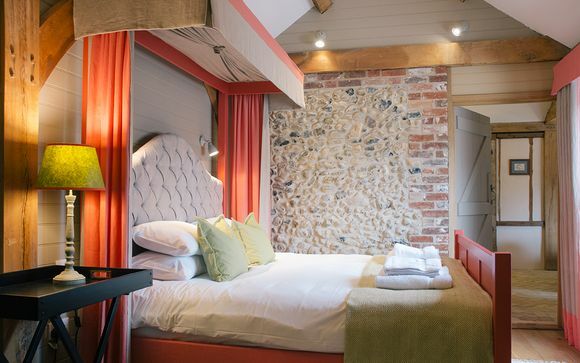 The Hayloft is the newest addition to Retreat East and is situated near the hotel's central barn. A standout feature in the freestanding bath in the bedroom. There are four Two Bedroom Barns: The Stables, The Burrow, The Cow House and The Roost. 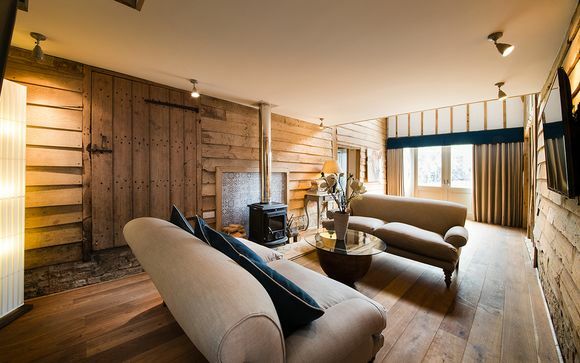 The Stables is a beautifully designed barn with freestanding bathtubs in both rooms. The Burrow's name evokes a sense of cosiness and the reality does not disappoint! 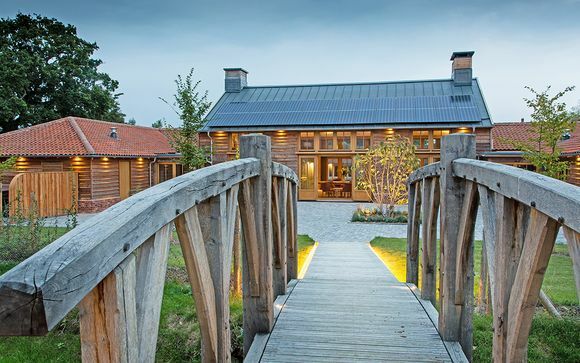 The Cow House is a truly memorable barn with its spectacular entrance and light-filled living areas. It is the perfect space to really unwind. 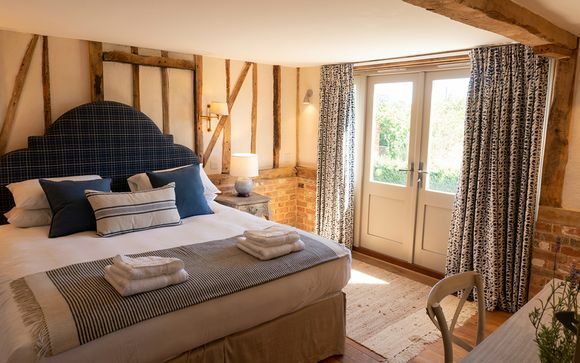 The Roost is a gorgeous upside down two-storey barn with spectacular open plan kitchen, dining and living area on the upper floor and elegant bedrooms on the ground floor.